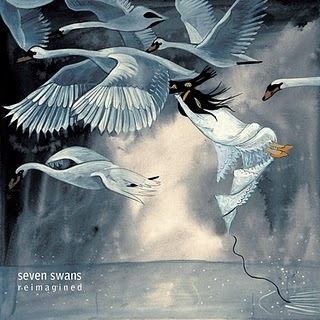 Here’s the cover art for “Seven Swans Reimagined,” Sufjan Stevens “Seven Swans” tribute album, benefit for the Susan G. Komen Breast Cancer Foundation. It will be released digitally on March 22nd via On Joyful Wings. Artwork by Vesper Stamper.